ARCHIVE – 2013 raffle information here. For our current raffle, click here! Announcing the WINNERS of this year’s raffle!!! 1. 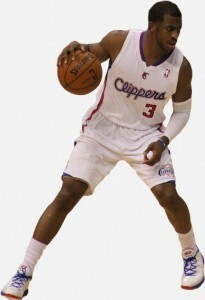 Grand Prize – a pair of premium Clippers tickets – ROBIN ROBBINS. 2. Second Prize – $15 iTunes gift card – JOSE & PAULA GONZALEZ. 3. Second Prize – $15 iTunes gift card – TONY & ARLITA FERNANDES. Raffle Drawing – click here for a video of the drawing! The Raffle is now closed! KEATaxes Raffle! 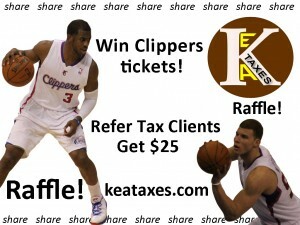 Win a pair of Clippers tickets (value over $200) and other prizes. Entries – For every referral of a new tax client who completes their taxes with us you receive a check for $25 and an entry into the raffle. The new client gets an entry as well. All our existing clients are eligible for an entry upon request. There is no limit on referrals per person. The more people you refer, the higher your chances of winning! Drawing – the raffle is now open and closes on April 2, 2013. The winners will be drawn at 5pm PT on the same day. Winner need not be present. 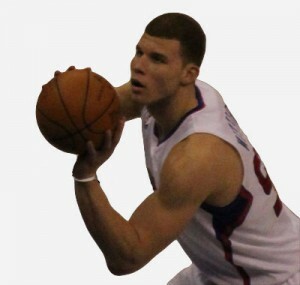 NBA Game Details– The Clippers host the Timberwolves on April 10th, 2013 at the Staples Center in L.A. You will be able to watch Griffin, Paul and co. up-close from your premium seats at the lower corner section 114! 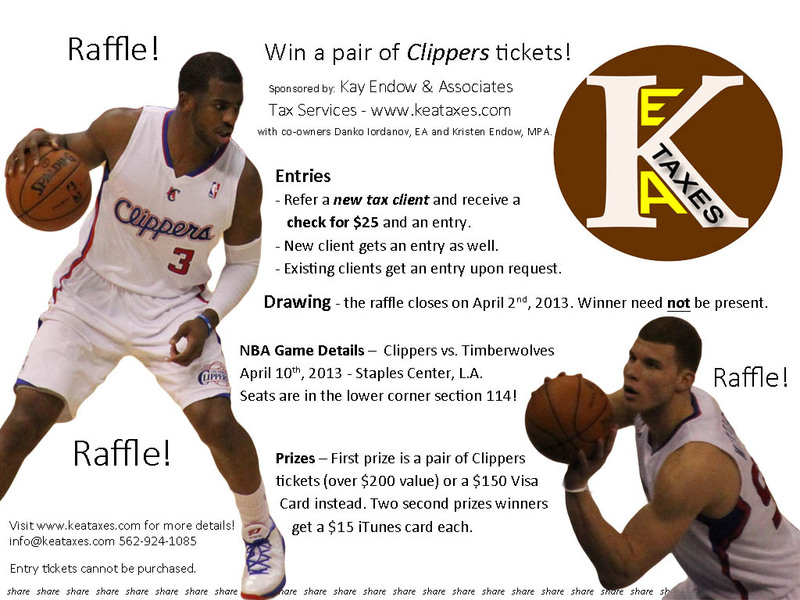 Prizes – First prize is a pair of Clippers tickets valued at over $200. The winner will have the choice to receive a $150 Visa Card instead. There will be 2 second prize winners who will receive a $15 iTunes card each. Details: Winners will be notified by phone and e-mail and will have 24 hours to respond and claim their prize. In case we don’t hear back from winner till 5pm on April 3rd a new winner will be drawn and contacted. Entry tickets cannot be purchased. The only way to get it is if you refer a new client or if you are an existing client. We reserve the right to use the name of the winners for media and marketing purposes.